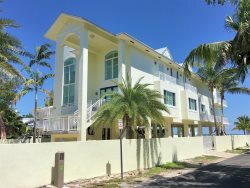 This spacious, tropical home that sleeps 8, has a gorgeous dock and patio area, a fully equipped kitchen with an induction cooktop, stainless appliances and all the amenities of home. Come and enjoy a vacation with your family in the Florida Keys! 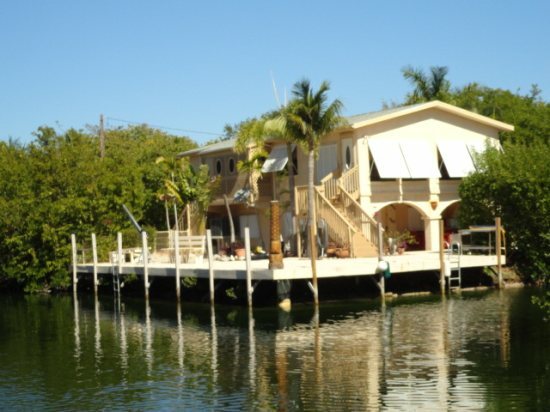 Excellent deep boating draft with marina nearby makes this easy ocean access canal home the perfect place to dock your boat. No bridges to the ocean. The 2 bedroom, 2 bath home, with extra sleeping accommodations and with it's tropical landscaping makes this home your perfect Florida Keys retreat. Enjoy all the unlimited water activities like swimming, fishing, and diving the Keys has to offer. Located near reefs and back country fishing area. Shopping in Big Pine Key with a shopping plaza hosting Winn-Dixie, Artists in Paradise, Beall’s Outlet, Radio Shack and branch of the Monroe County Library with Wi-Fi internet access. Take a trip down to Key West for the daily sunset celebration or a romantic sunset cruise. Or visit one of the many venues offering the finest in live entertainment and great food. Be sure to take a stroll up and down Duval Street and visit the art galleries, shops, and more! We welcome you to Calypso Corner for your next vacation! Come to our tropical paradise!